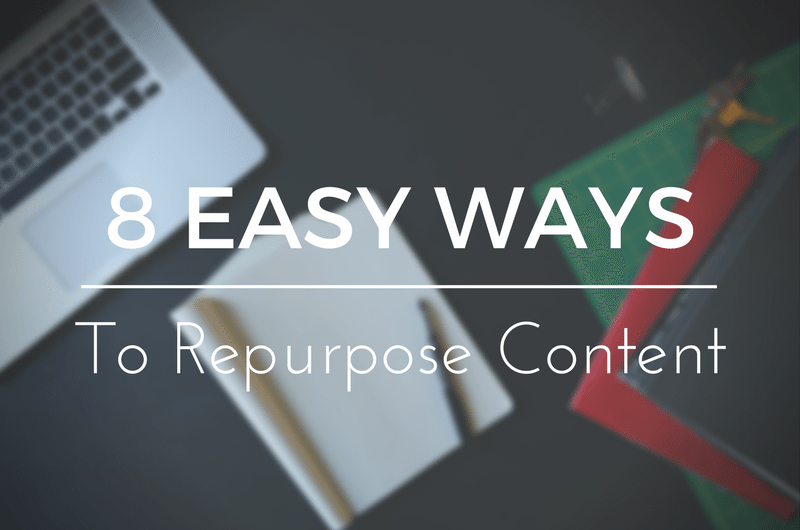 Let’s have a look today as 8 Easy, I mean really easy, ways to repurpose your content. I got my checklist here, we’re going to go through this step by step, give you some tips on what can you be doing to repurpose your content. And let me just clarify that what exactly does that mean “repurpose”. Well simply this, it can take quite some time to create content, would you agree with me on that? True. So repurposing means using it again because I believe because it take so long to create content you should not, you absolutely should not, create contents for only one purpose. Here we’re going to learn ways to repurpose. Number 1, Create a Slide Share Deck. Now I love Slide Share. I’ve got some Slide Shares up and as we take a number of slides we put them together and create a slide share. Just look it up, SlideShare.com or .net not quite sure and it’s a good way particularly when in the business market and your looking to attract interest. But there are so many different topics and different types of people on businesses putting things up on Slideshare. If you get a cracker you can absolutely score with hundreds and thousands of views to that, which should hopefully if it’s good quality, bring people back to your website to your business. 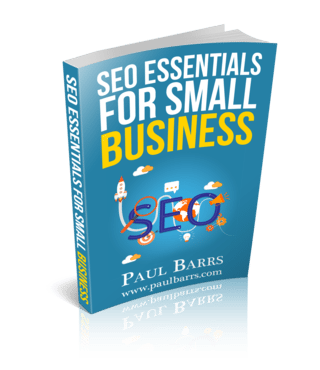 Number 2, turn your blog posts into an Ebook. I like that one. I’ve published 43 different electronic, I guess publications, Ebooks and videos and DVD’s and so on at this point of time and this is an absolute cracker. If I wanted to I can simply go to my blog right now and go yep that one, that one, that one, there’s 6 more, they are all related that, each become a chapter in the Ebook, and bang there’s a whole bunch of content where people can download it. You ask their name email address and so on. Oh I like this, transform your slides into an infographic. Number 1 create a SlideShare Deck. Well I can take each of this little plots and use them as slides to create an infographic and in this case I’ve done it the other way around. Don’t just use it once, come up with the ideas and then use them over and over again. Use factoids as social media posts, I will also take each one of these it’s a single sentence and then a very short two or three sentence paragraph just to explain it a little bit further there’s that content being used again. How about Number 5, share shorter blog post on medium and in Linkedin Pulse. Now this is a matter of just reworking things takes a little bit of time but both medium and Linkedin “ohhh” boy really good for building a following, if you build a following your building authority, the more people talked about you, KA-BOOOOM – everything works magic from there. Number 6, make new content out of old. Now I do this. I don’t have time, as I’m recording this videos right now I’ve set up the lights here at the office and the camera and I’ve got the fans going at the moment, but I don’t have time to do that every single week. So I’m recording a couple of videos right now which will become content for social media, for my newsletter, for my blog post, blah blah blah, all these different things. But if I ran out of time to record new content I can go back to my blog and take old content, and I did this over Christmas, did this one also while away on Holidays, and I can repurpose that content again. I quickly scan through it and make a few updates edits, a new images, rename it, bang there’s a new content. You’ve got to use them more than that. If the content your writing is evergreen, meaning it’s not going to go out of date anytime soon, you should share it and then re-share it and then re-share it and then re-share it again. Heck when I put up something new I just ask my social media lady whose doing this for me at the moment, say can you re-share that for me half a dozen times over the next sort of three months, and then that one 6,7,12 times over the next 8 months, and she will just go think, ding, ding, ding and randomly share and it builds up this queue of content going out. Lastly Number 8, Merge multiple pieces of content into a Webinar. I could make an entire Webinar out of this. As a matter of fact I think I might, if I get around to it. That’s a great idea. I’ve got it in my schedule one I think for about 8 weeks or something, this could be a content. I could take each one of those different bullet points, make them into nice slides, those slides are put up on Slideshare, I record the audio while I’m doing the Webinar, I get people to come and listen while I’m doing the Webinar, I create a mini product, an Ebook perhaps out of old blog posts on content. I’ve actually got a product already about content, that will be good enough. But then I can re-use, repurpose these in multiple different ways. Does it make sense? I know it’s a bit of a “mii-yyaaa”, it’s a little bit of line walk for those who have never really given much thought to it. But once you get into the flow it becomes easy. All things are most commonly a little difficult for us to do the first time, but things get easier to do, as we do them more often. It’s the key. As Jim Rohn said to me we need to make sure that things become easier to do, listen carefully, than what? easier not to do. So if you can write brand new content off the top of your head everyday all day, great. Good for you. Much of us don’t have the time and really our creative brains just don’t always go that far. So you should be repurposing content as many different ways as possible. Alright folks that’s my thought for today. You have a wonderful day great week, good months, awesome year and I’ll talk to you again soon. Bye-bye.